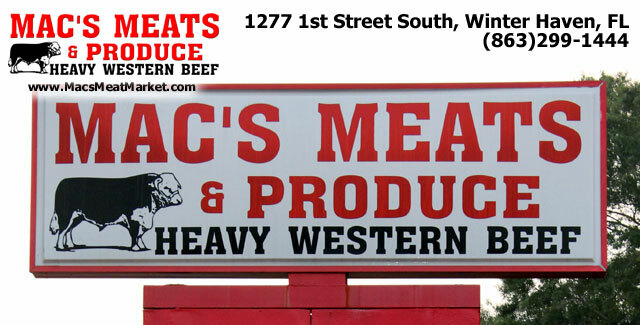 34 years in business, Mac's Meats & Produce is at 1277 1st Street South, Winter Haven FL 33880. 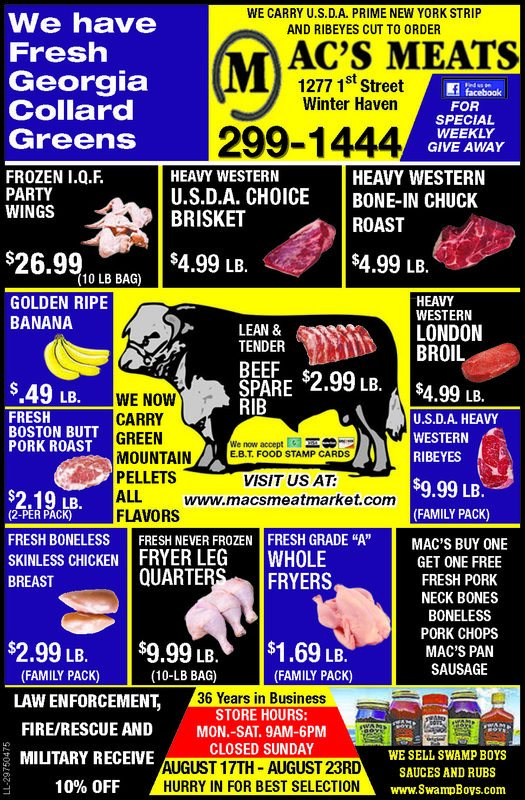 We have fresh cuts of beef, pork, and poultry every day. 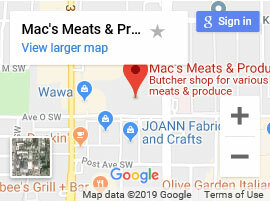 Roasts, chops, steaks, fryers, roasters, and specialty items--we provide only the freshest and highest quality meats and produce. Our premium grain fed Angus beef ensures an enjoyable eating experience every time you share your table with us. 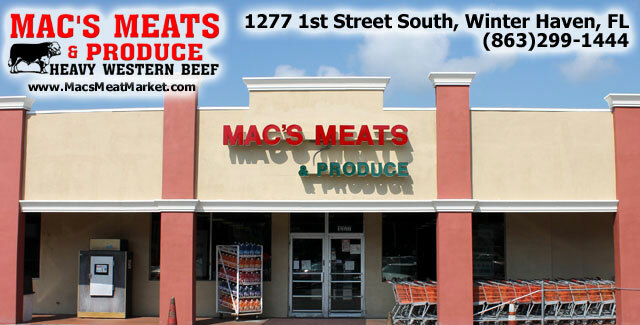 Come see us soon at Mac's Meats & Produce!